Yay it’s the weekend 🙂 when we have a little more time to cook together and indulge in winter warming puds like this scrummy vegan & gluten-free apple crumble. 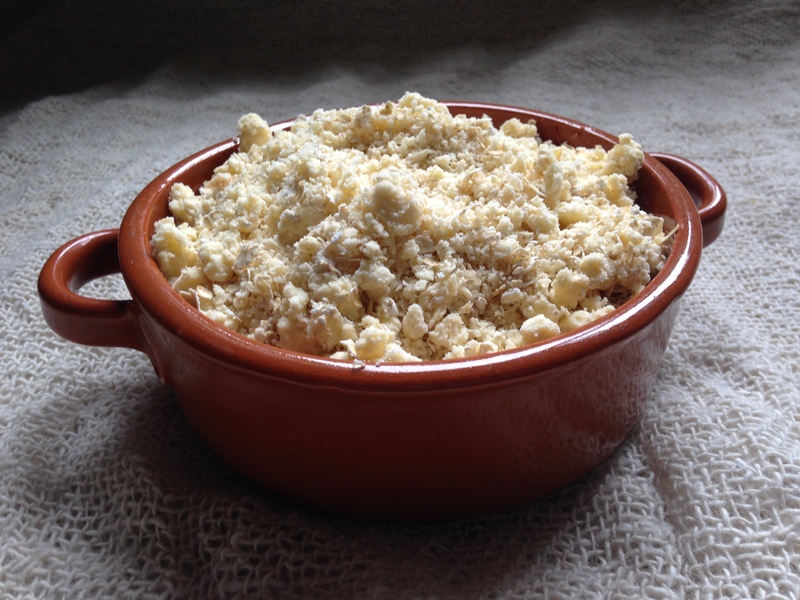 Apple crumble has always been one of Aars’ favourite puddings. One of the very first recipes I shared on blog was apple crumble as it’s always been a staple in our home. I’m so thankful that even though he can no longer eat raw apples, he can eat cooked apples and still gets to make and eat apple crumble to his hearts content. This recipe is so easy to follow that my dad (who can just about manage making toast) and Aars made this together when Aars was only 5. I’ve obviously had to adapt the recipe over the years as we have lost more and more foods, but it retains it’s scrummy essentials. 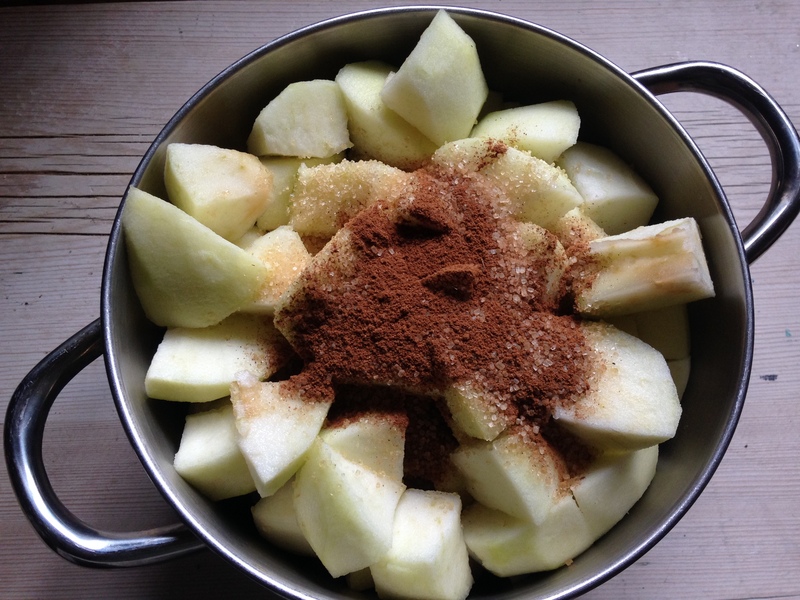 Cinnamon spiced huge chunks of tangy bramley apples, and a lovely crumble – Aars likes a good crumble:apple ratio – so there’s no scrimping on the crumble in our recipe, if you like less just reduce the crumble quantities. If you can eat tree nuts in your house you can add them to the crumble mix. If you want to make it more christmassy with some seasonal spices like cloves, nutmeg and ginger go for it! Have a play, make the recipe work for you and your family. Most importantly enjoy the process of being in the kitchen together and sharing your culinary experiments. Obviously being dairy-free means we use sunflower spread which is a lot softer than butter. If you are a warm blooded soul (unlike me – I am always freezing) you might find it helpful to pop the spread in the freezer to solidify a little for at least half an hour before making the crumble. It should help you create the breadcrumb texture when you rub the fat and gluten-free flours together for the crumble. We love ours with a homemade custard made with coconut m!lk, sugar, cornflour and vanilla extract – so warm and comforting. I hope you have a tasty weekend staying warm and cosy!